What is your lunch today? Here is my colourful and humble lunchbox packed from home in VAYA Tyffyn. I have clear corn soup with Chinese red dates; steamed chicken breast with turmeric, lemon, herbs and dash of chilli flakes; stir-fry cauliflowers, french beans and carrots. And I don’t take rice because I have corns. It’s so satisfying and hearty. 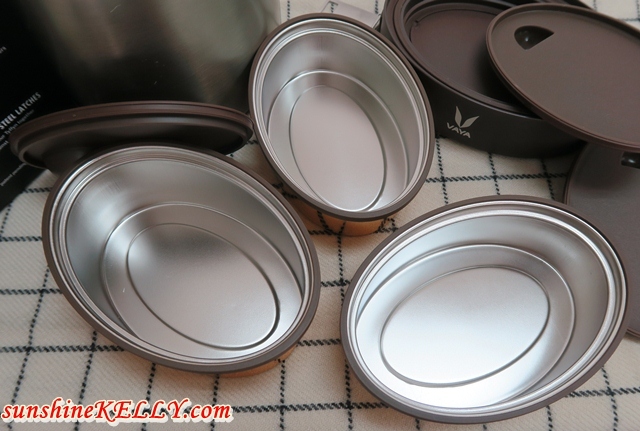 My soup still warm after 4 hours because of this VAYA Tyffyn is vacuum insulated lunchbox able to keep food warm and fresh for 6 hours. As you know we Chinese love our food especially soup to be warm. And it comes in 3 containers that are so convenient for me to pack my food; one for soup, vegetables, meat or rice. See my food is all nicely packed, separated and not messy at all. 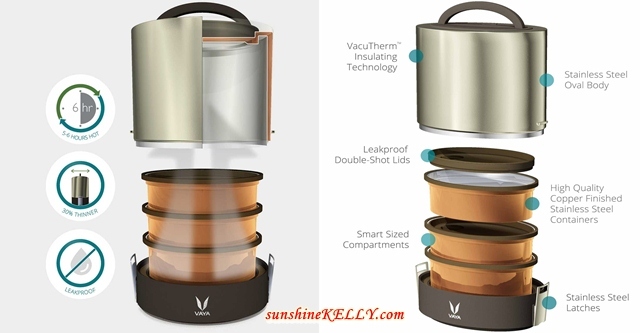 VAYA Tyfynn revolutionary VacuTherm Insulation technology traps rising heat and seals it’s warmth inside a double-wall vacuum insulated stainless steel shell. Well it may sound complicated or too technical but in the nut shell this VAYA Tyffyn is able to keep our food warm for at least 6 hours. 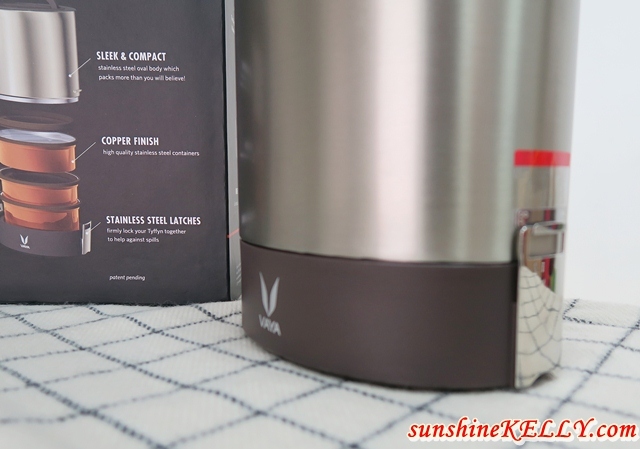 The more often I used this I began to love this VAYA Tyffyn Vacuum Insulated Lunchbox, the more I love it. It helps me to cultivate healthy lifestyle at east and so convenient to carry to work or anywhere I go. 1. 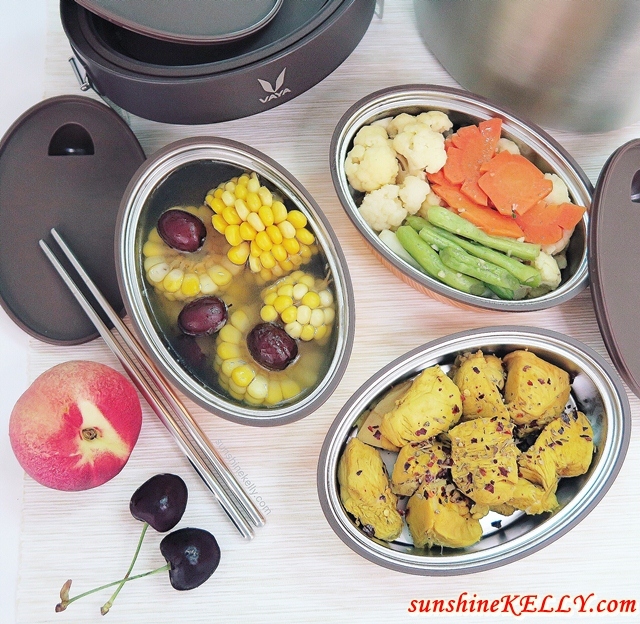 Keep my food hot for 6 hours with its VacuTherm Insulation Technology, a double walled high vacuum insulated stainless steel shell that traps heat as it rises. 2. 100% leakproof even when I packed my soup to work it’s fine. There is no spill or leaking. It comes with leakproof double-shot lids. 3. 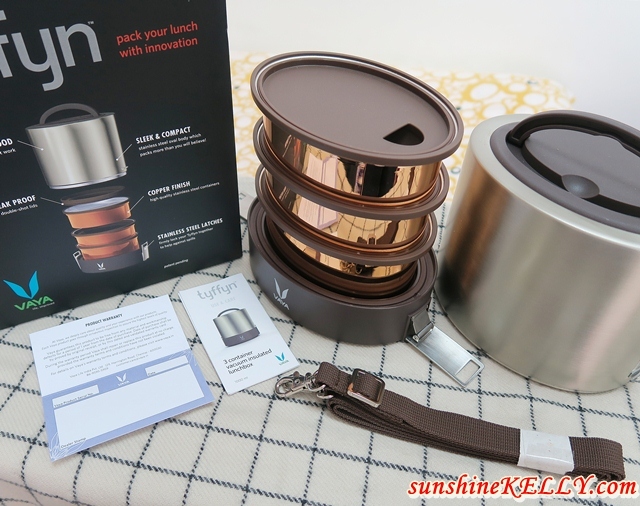 Smart sized compartments, the 3 copper finished stainless steel containers are just the right side for me to pack my meals. 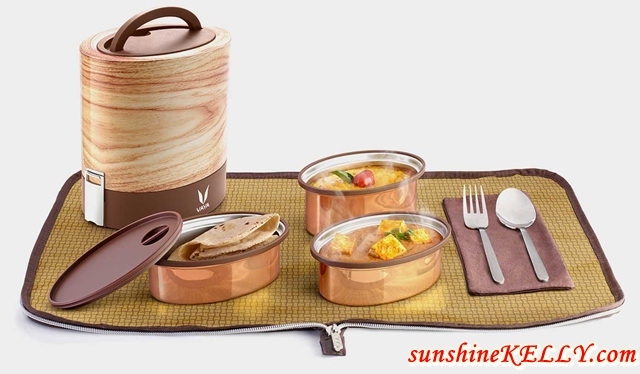 It can also be used as daily food container at home. 4. I love the BagMat, an incredibly smart shoulder bag. 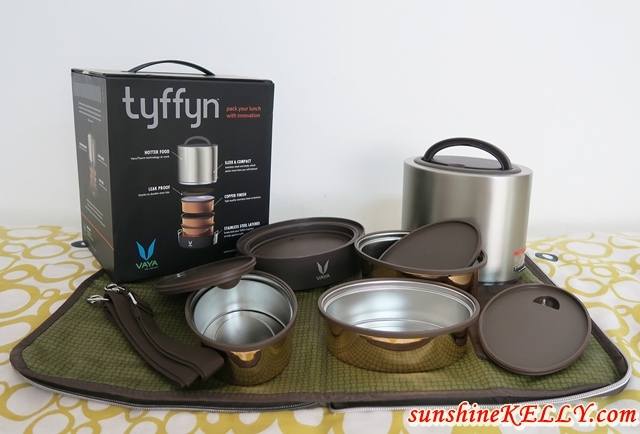 Carry the Tyffyn in style and when it’s time to eat, unzip the BagMat to become a full table mat. 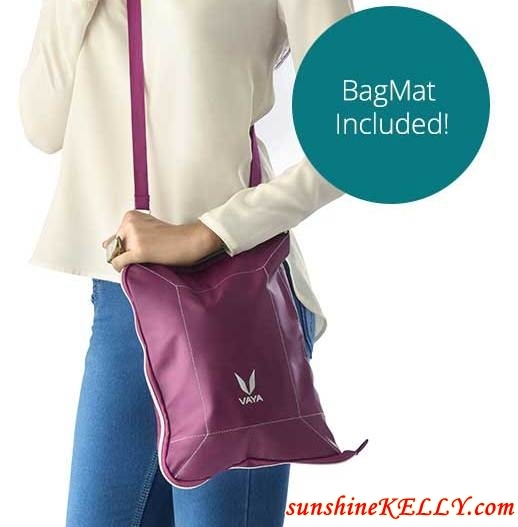 Bagmat has a layer of water resistant coating that makes it easy to wipe after any spills. Overall with VAYA Tyffyn now I can enjoy my home cooked meal at work so conveniently and stylish. The more I use VAYA Tyffyn the more I love it. Eating home cooked meal at work or outside is always the best choice because it’s healthier, hygiene, delicious and at the same time I can save money and time too. Remember we are what we eat, so cultivate a balanced diet for a healthier body. Pl let me know the price please? The lunch box is suitable for me to ta bao food. Will get 1 soon. wao ~~ i'm person who love drink soup ~~ looks like suit me ya if i take away hot soup..
wow this is fantastic! Many husbands will like this revolutionary lunchbox. I find it super cool! What a modern lunch box. A bit pricey than the normal stainless steel one that I have been using for years. Am considering getting a VAYA myself. I would totally use this! The compartments makes for a good seperation and it can even put soup which really amazes me! The corn soup look so delicious leh!! I want to try! Oh wow I love how it has 3 separate compartments! Probably want to get my hands on some of these.. It looks good and convenient. Just one thing though...I would prefer that the lids are made of steel too...or...if there is a steel cover to seperate the food and the plastic lid so as to break contact between warm food and plastic lid for health concerns. Hi, the lid is made from the approved material. Actually I would prefer the stainless steel lid too. Hi! I have just one doubt. If I go for 1000ml one then can I some day just use 2 compartments instead of all 3? There is a 600 ml compartment that you can buy separately. So you can use just 2 compartments.